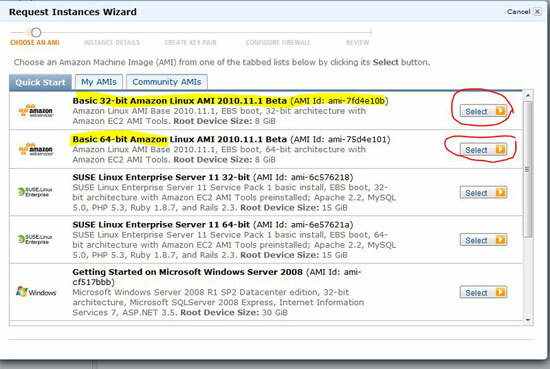 This tutorial explains how to create a virtual machine with CentOS 5.x on Amazon’s Elastic Compute Cloud (Amazon EC2) and how to set up a LAMP system (LAMP stands for “Linux, Apache, MySQL, PHP”) in this virtual machine. 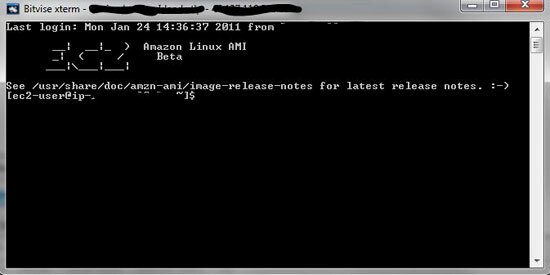 We use an AMI (Amazon Machine Image) to set this virtual machine up. 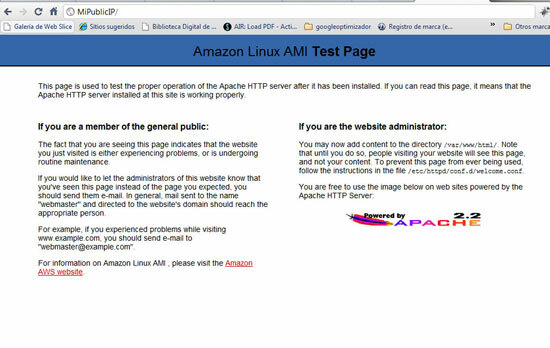 I assume you have an Amazon EC2 account. Then on the next screen use the default settings and click on the Continue button. and fill the Enter a name for your key pair input with the name of the key, for example myKey. Then click on Create & Download your Key Pair button, and the browser will download the key file. Note: It’s very important to save the file in a secure directory because you will use this key to access your AMI (from now virtual machine). Then you need to select the security groups. This means you need to choose the open ports or the security rules of your virtual machine. By default there is one active and open port; it is port 22 which allows you to access your virtual machine via SSH. For this, I propose the Tunnelier program, because it is easy to use and you have console and SFTP at the same time. I assume that you will connect from a Windows operating system; for other cases I will write the command to connect from your console. Download the Tunnelier program from bitvise.com (it’s free). Select Download Tunnelier (SSH Client). Install it like you normally do on Windows. 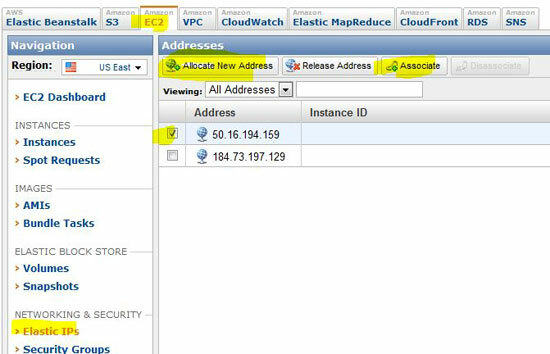 Go to your EC2 dashboard and select the Elastic IP option from the left menu. In the main window click on the button Allocate New Address; a small screen will appear where you must confirm the action, then select click on the Yes, Allocate button. The new public IP will show in the panel. Now we need to associate it to our virtual machine. To do this, select the IP and click on the Associate button (see the image) and then a small window named Associate Address will be displayed, and there you must choose the ID of your virtual machine from a list (in my case I have only one, therefore I can only select that one option), and then click on the Associate button. Once we have an IP associated to our virtual machine, in the Tunnelier program we need to import the access key for our virtual machine. For this action we click on User keypair manager and as shown in the following images, import the my Key.pem file that we created before. And then it will appear in the list. Put special attention to the number in the list, because we use this number to make the connection. 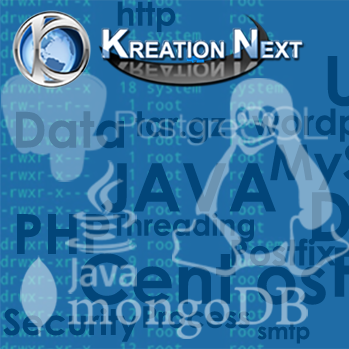 To install MySQL we need to have an open console and put in the next instructions. To install PhpMyAdmin we need a console again; please make sure that you have root privileges!